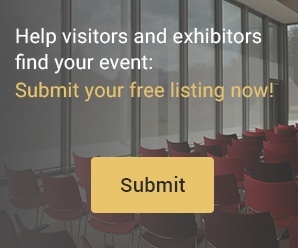 From video surveillance technologies with Artificial Intelligence and deep learning capabilities, to cloud-based access control solutions and flame retardant protective clothing, Intersec 2019 will shine the spotlight on game changing solutions solving challenges faced by professionals spanning sectors from banking and retail, to infrastructure and energy. 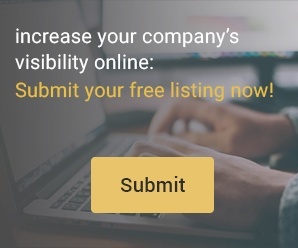 The 21st edition takes place from 20-22 January 2019, with more than 1,300 exhibitors from 60 countries spanning 50,000sqm of space at the Dubai International Convention and Exhibition Centre. 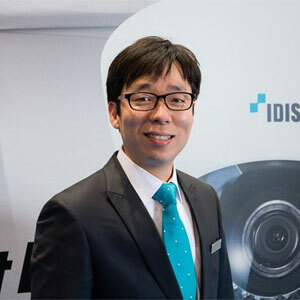 Korean company IDIS, one of the world’s top surveillance technology manufacturers, is a regular Intersec exhibitor that’s hitting double digit year-on-year sales growth in the Middle East, a position that it largely attributes to contacts made at the annual three-day event. Many of our system integration partnerships resulted from engagement and introductions made at Intersec"
What’s more at Intersec we’ll launch the DV-2116, AI in the Box, which is a cost-effective, pre-built device with the graphical and processing power"
“What’s more at Intersec we’ll launch the DV-2116, AI in the Box, which is a cost-effective, pre-built device with the graphical and processing power to quickly and easily transform existing surveillance into a powerful AI solution.” he said. “Also on show will be our latest fisheye advancements, which include improved peripheral resolution through an upgraded Panomorph lens on the 12MP model and a new 5MP compact model perfect for smaller applications and installation in confined spaces.” Intersec 2019 covers the seven sections of Commercial Security; Fire & Rescue; Perimeter & Physical Security; Safety & Health; Homeland Security & Policing; Information Security; and Smart Home & Building Automation. ULTITEC is one of more than 150 exhibitors in the Safety & Health section, and will showcase its extensive range of protective clothing used by professionals in the oil & gas, aviation, construction and automotive industries. Jason Lin, ULTITEC’s General Manager, said its range of technical textiles are widely used by global conglomerates and local companies alike such as Qatar Gas, Shell, ExxonMobil, and ADNOC (Abu Dhabi National Oil Company). “At Intersec, we’ll focus on chemical and liquid jet resistant protective clothing such as the ULTITEC 5000 and ULTITEC 4000 which recently won the tender to be applied in PETRONAS Malaysia, one of the world’s largest and most forward-looking oil and gas producers,” said Lin. Our unique fabric technology of microporous film provides breathability and is perfectly suitable for excessive heat environments"
Elsewhere Matrix Comsec from India is one of more than 50 exhibitors at Intersec’s Information Security section that will look to capitalise on opportunities in a Middle East cyber security market that’s estimated to grow at a compound annual growth rate of 11 percent from 2018-2024. According to analysts 6Wresearch, revenues from the Middle East information security market will reach US$2.7 billion in 2024, compared to US$1.4 billion in 2018. A revamped conference line-up will be spearheaded by the Intersec Future Security Summit, raising key issues on Artificial Intelligence, security integration, emergency preparedness and response, data protection, and the Internet of Things. The one-day Intersec Fire Conference on 21st January will provide insights into the changing global trends in fire protection and its implications on the Middle East, while Dubai’s Security Industry Regulatory Agency (SIRA) Forum will also return with the latest updates in security law and industry regulations in Dubai.